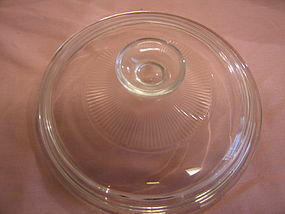 Replacement lid for round Corning casserole measuring 8 5/8 inches in width. I believe it fits the 2 quart size. The inner flange measures 7 5/8 inches in width. It is marked Pyrex 09 624C A.